Make the short version of this popular fat-quarter-friendly design by Rose Mary. 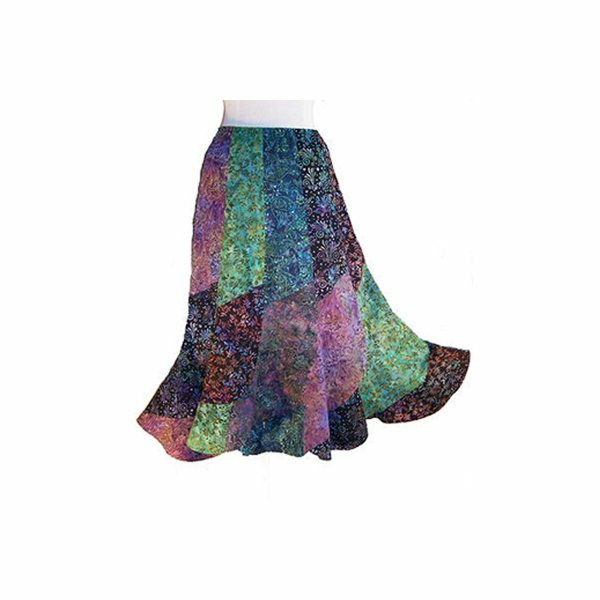 You will love this easy-to-wear, flirty skirt. Make it classic or colorful. To make it even easier we often have pre-cut bundles of batiks available—just ask!